Senator Bruce Tarr joined the festivities in 2017. He is pictured here with our President Brian Gregory. 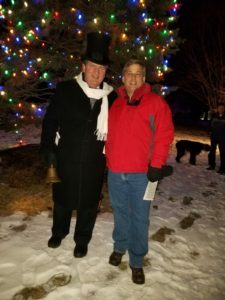 Don’t miss the Grand Illumination on Sunday Dec 16, 2018 in historic East Boxford. Meet us at the corner of Middleton Road and Elm at 5:00 PM when we will begin caroling, we proceed South on Elm street from home to home. 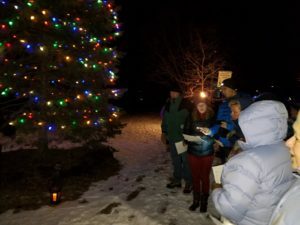 The caroling concludes at the Holyoke-French House for free cider and cookies. 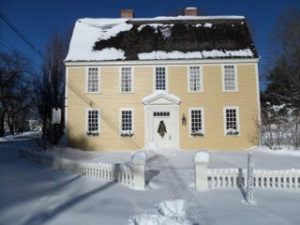 Our Mission is to preserve, promote, and interpret the history of Boxford in order to foster a deeper appreciation of the town's heritage.